We, the World Organization of Human Rights and Environment Rights, in the face of the historic moment that global warming represents, by threatening the very future of humanity, believe that the peoples of the world have the ethical duty to establish a critical transformation of their way of living, shifting from the consumerist materialism toward the ecological communitarianism. This is the great hope of the world in order to survive and evolve, recognizing the physical-cultural interdependency and interrelatedness between all living beings. The human family shares a symbiotic relationship with the Mother Earth (Gaia), which is the source of life and well being, so it is essential to create an ecological civilization based on respect for essential values such as world peace, social justice, advanced education and care of nature. On the basis of this Purpose (Dharma), the peoples must support this Universal Declaration of Ecological Rights, by taking responsibility to be in solidarity with the others, with the field of life and the Mother Earth (Gaia). In effect, Mother Earth (Gaia) is not merely the home of humankind, but rather is a living planet or a totally unique super organism in the known Universe, by providing the fundamental conditions for the survival and evolution of life and consciousness. The welfare of humankind depends entirely on the ecological health of ecosystems of Mother Earth (Gaia), so that biodiversity should be preserved as one of the most important human rights. Clean air and water are also indispensable Human Rights, so that peoples should show a great concern for protecting the vitality and sacredness of nature. This means evaporating the economic patterns of materialistic consumerism which are causing environmental devastation, rapidly depleting natural resources and causing the sixth mass extinction in the history of the planet. Yet communities are also being destroyed by poverty, by means of the great social sufferings of war, injustice, ignorance and pollution. These are a completely preventable danger, so that contemporary civilization has the duty to carry out the Cure (Nirvana) of these global ills in order to provide a healthy and appropriate existence to current and future generations. The choice is quite clear: self-destroying or refounding the global civilization under communitarian and ecological values. This necessary transformation of lifestyle is the human being’s spiritual development, by practicing a form of Peak Knowledge (Satori) that is capable of returning to harmony with all living beings. The resurgence of Spirituality then creates a new opportunity to establish a Pure Earth of essentially democratic, humanitarian, wise and compassionate characteristics. Thus, in the face of the enormous political, economic, cultural and environmental challenges, it is understood that spiritual solutions are the most comprehensive and integrative. However, for achieving these aspirations to the Great Awakening (Maha Bodhi) of all humanity, peoples must choose to exist under a Sense of Purpose (Dharma), identifying themselves both with the fellow beings as well as with Mother Earth (Gaia) and Cosmos. That is why Aboriginal and Buddhist communities have been an example to the world throughout thousands of years, by being universal and global citizens when taking responsibility for the welfare of all humankind and nature. The Path of Solidary and Reconciliatory Spirituality develops a lifestyle related to the environment, living with humility and openness before the mysteries of Cosmos, which favors the emerging social development based on the ethical foundation of detachment and learning. Thus, in an act of unity and hope, the following principles are established for creating a pacifist, equitable, cultured and ecological civilization. 1. Develop all levels of democracy in order that there are transparent institutions within governments, in addition to strengthening the direct participation of the people in making political, economic and judicial decisions at the local, regional and global level. It must be protected the rights to freedom of expression, to information and healthy environment, by eliminating warmongering, fraud, corruption, prostitution and drug trafficking, as harmful behaviors that affect human community and nature. 2. Keeping a respectful treatment toward all living beings, considering the animal rights as a way of direct prevention of all cruelty or damage caused by society. Species must be protected in order to avoid or interrupt the process of destruction of biodiversity. 3. Encourage a culture of tolerance, non-violence and solidarity, promoting mutual support among the peoples and implementing integrative programs to prevent and resolve conflicts. It should be developed a process of demilitarization of the countries, by eliminating weapons of mass destruction and using the budgetary resources for humanitarian and environmental purposes. But it also means recognizing that peace is a process of righteousness and care of oneself, of fellow beings and of the environment. 4. Eliminate poverty as ethical Cure (Nirvana) of society and the environment by assigning international resources support in order that all peoples have access to clean water and air along with healthy food and safe housing. The poor and oppressed must be recognized and protected, helping those who suffer to make possible the development of the hidden skills of self-realization and self-determination that are inherent in all beings. 5. Ensure that economic activities are fair and equitable at all levels, by promoting social and sustainable development along with the redistribution of income among all peoples. It must be ensured that any national or international commercial activities support the rights of workers and the environment, acting with transparency and responsibility for the good of society and Mother Earth (Gaia). 6. Defend gender equality as a form of social and sustainable development, complying with the human rights of women and children to end violence against the most vulnerable. There must be more participation of women in making political, economic, cultural and environmental decision. 7. Ensure the human right to access advanced education, non-discrimination and a cultural environment that values the inherent dignity of human being and the Mother Earth (Gaia), by supporting the physical and spiritual health of the peoples. 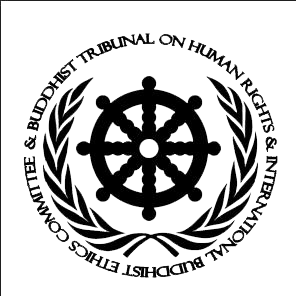 It should be eliminated discrimination in all its forms, especially affirming the spiritual rights of Aboriginal peoples and Buddhist communities, which are protectors of humanity and nature, as their knowledge and practices constitute a peaceful and sustainable lifestyle, which are the necessary requirements for creating healthy and adequate societies. 8. Develop education so that it accompanies all facets of the human beings’ Path of life, by strengthening their own abilities and allowing the possibility to integrate new knowledge and values that are necessary for a peaceful, solidary, cultured and ecological way of life. It should be provided opportunities of formal and non-formal education for all children, adults and elderly people, by training them in learnings that are indispensable to contribute to the survival and evolution of humanity and the Mother Earth (Gaia). 9. Boost the development of art, humanistic sciences and ecology by intensifying a global awareness raising process about the challenges that humanity copes with. It must be recognized the importance of ethics and Spirituality as teachings to implement a healthy, adequate and sustainable life, intensifying affective, aesthetic, intellectual and social resources of all families, communities and peoples. 10. Respect Mother Earth (Gaia) as a super organism that sustains the multiple diversities in the field of life through a network of interdependence and interexistence of which humans and animals are part, so it must be recognized the inherent dignity and the evolutionary potential of all living beings. Mother Earth (Gaia) must be cared with compassionate wisdom (prajna-karuna), simultaneously accepting that organisms have rights not to be considered as mere natural resources. 11. Affirm that the universal values of liberty, equality and fraternity entail a special responsibility of humankind to promote the good of all peoples and ecosystems. It should be then built democratic communities that fully develop the peaceful, just, ecological and cultured potentials, by promoting peace, social justice, knowledge and sustainability in order that all beings can achieve a healthy, responsible and awakened way of life. 12. Protect and restore the beauty and ecological integrity of Mother Earth (Gaia), preserving its biodiversity for the present and future generations, which involves transmitting spiritual values and traditions that support social and ecological prosperity. Plans for social and sustainable development should be implemented to conserve and rehabilitate the vital cycles of nature, safeguarding the most important ecosystems as sacred patrimony of humanity and the Mother Earth (Gaia) in the face of the danger of extinction and destruction. 13. Use non-renewable resources like fossil fuels, only measuredly, responsibly and in a way that is not harmful to the environment, taking preventive measures for possible serious and irreversible situations but also taking measures of ecological justice when damages have already been committed. It should be prevented citizen, industrial and military pollution, by sanctioning those who incur these acts against the spiritual welfare of the community and nature. 14. Apply patterns of economic production and material consumption based on quality of life standards which do not interfere with Human Rights neither with the Rights to self-regeneration and self-regulation of Mother Earth (Gaia), so that the recycling of materials and the use of renewable energies must be State policy. Healthy and sustainable technological systems must be developed and implemented, by ensuring the universal access to an appropriate environment. 15. Transmit ecological knowledge to all the peoples, supporting the practice of a responsible and sustainable science that pays full attention (Mindfulness) both to the poor and the oppressed peoples as well as to animals and ecosystems. It must be preserved the spiritual traditions of compassionate wisdom (prajna-karuna) that have emerged in all cultures because they are sustainable knowledge that ensure the welfare of humanity and the Mother Earth (Gaia), while it is of vital importance for the Salvation and Evolution of Life. 1. Recognize Environmental Rights as fundamental Human Rights as well as interdependent of democracy. 2. Recognize the Universal Declaration of the Rights of Mother Earth in order that humanity lives in harmony with nature. 3. Recognize Ecocide as the fifth world crime along with genocide, war crimes, ethnic cleansing and crimes against humanity, affirming the need to establish an International Environmental Court. 4. Recognize the scientific theory that the Earth is a living planet or super organism capable of self-regulation, which sustains all living beings and ecosystems. 5. Recognize the need to reduce greenhouse gas emissions on the basis of gross domestic product of each country. 6. Recognize that the most polluting countries should compensate the least polluting countries. 7. Recognize that countries that use renewable energy and protect their forests, oceans and other ecosystems have the right that their foreign debts are partially or totally removed. 8. Recognize the need to protect nature through the internationalization of large ecosystems such as the Amazon, the forests of Canada, the Siberian Taiga, the forests of the United States, the Scandinavian and Russian taiga, the Congo Basin, forests of Mexico, tropical forests of the island of Borneo, tropical forests of New Guinea and the forests of Bulgaria and Romania, among others. 9. Recognize the Rights of Animals, which are part of the interdependent system of life as earthly body cells, so that discrimination against them and attack their harmonic functioning causes imbalance in the integrity and balance of the holistic field of the biosphere. 10. Recognize the need to create an economic fund to help environmental refugees and victims of hurricanes, droughts and other phenomena associated with global warming. 11. Recognize the need to stop the production of cattle by the huge greenhouse gas emissions, it must be propitiated only milk production, vegetarianism and sustainable agriculture. 12. Recognize the need to encourage reforestation and repopulation of rural areas. 13. Recognize the need to develop technologies to convert human waste into usable energy. 14. Recognize Aboriginal and Buddhist communities as global citizens and defenders of Mother Earth (Gaia). 15. Recognize peace as a basic human right, committing to eliminate armies and redirecting military spending towards ecology, education and health. 16. Recognize the importance of prohibiting weapons of mass destruction; by leaving only a small percentage under the United Nations protect to be used against a possible threat from outer space. 17. Recognize the need to remove the Security Council of the United Nations, promoting global direct democracy for all peoples of the world. 18. Recognize materialism as an evil in the world, because its political and economic models do not bring harmony to society and Mother Earth (Gaia) by producing abuse, alteration and predation. 19. Recognize that all countries which do not comply with these measures they should be politically, economically and culturally sanctioned, following the general principles and rules of international environmental law arising from treaties, international customs and judicial teachings, which include: principle of responsibility of countries over their natural resources to avoid environmental damage to its own inhabitants; principles of good neighborliness and international cooperation to investigate, identify, notify, consult and prevent environmental damage to other countries and their inhabitants; principle of preventive action of pollution; precautionary principle to threats of serious or irreversible environmental damage without waiting for scientific evidence; principle of obligation of the State to compensate for illegal or inappropriate environmental damage under international law when it is not possible to repair or restore previous environmental circumstances and when negligence, strict liability and unconditional obligation of the State is shown; principle of common responsibility of states to protect the environment but differentiated by its various development capabilities; and the principle of sustainable development that meets the essential needs of the present and future peoples (intergenerational equity, proper use of natural resources and integration of environment and development).